I love a good challenge. 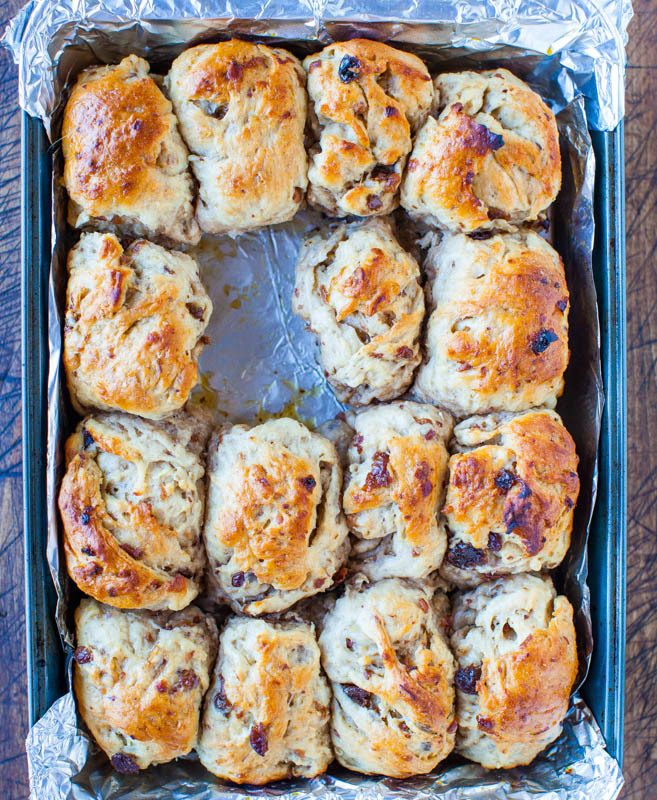 Like making cinnamon rolls, 100% from scratch, in 1 hour. Think it can’t be done? It can. With soft, fluffy, incredible results. Lots of photos follow. Hopefully they’ll help twist your arm about what you should be doing the next hour.I loathe taking step-shots, but with yeast recipes, everyone says they’re really appreciated. You’re welcome. The rolls are made with yeast, and while plenty of recipes exist for baking powder-based rolls, they always taste a little bit off to me. 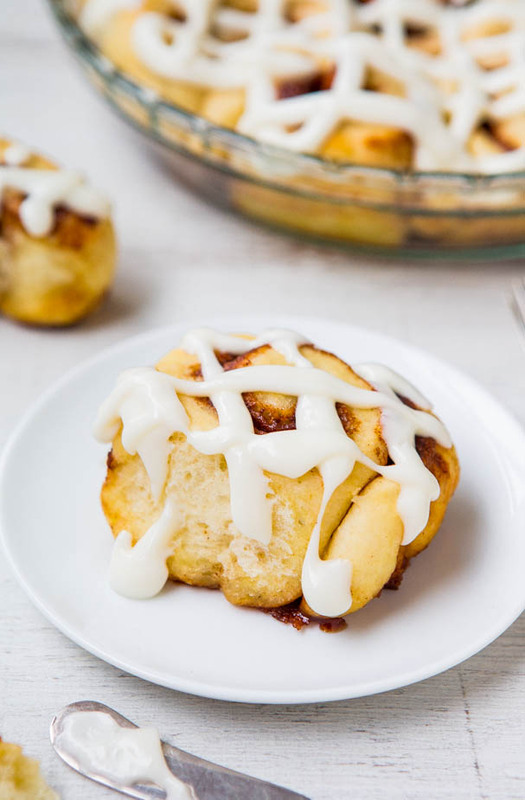 A yeast-based dough is really the only way to go for a truly authentic tasting cinnamon rolls. To make them, I adapted and combined elements from Overnight Buttermilk Soft and Fluffy Cinnamon Rolls and One-Hour Soft Buttery Breadsticks in coming up with the dough and method (to my madness). 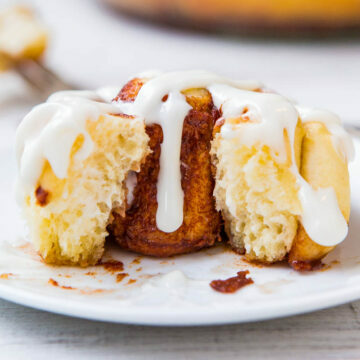 Buttermilk is one of the main reasons why I like my Overnight Cinnamon Roll recipe so well. 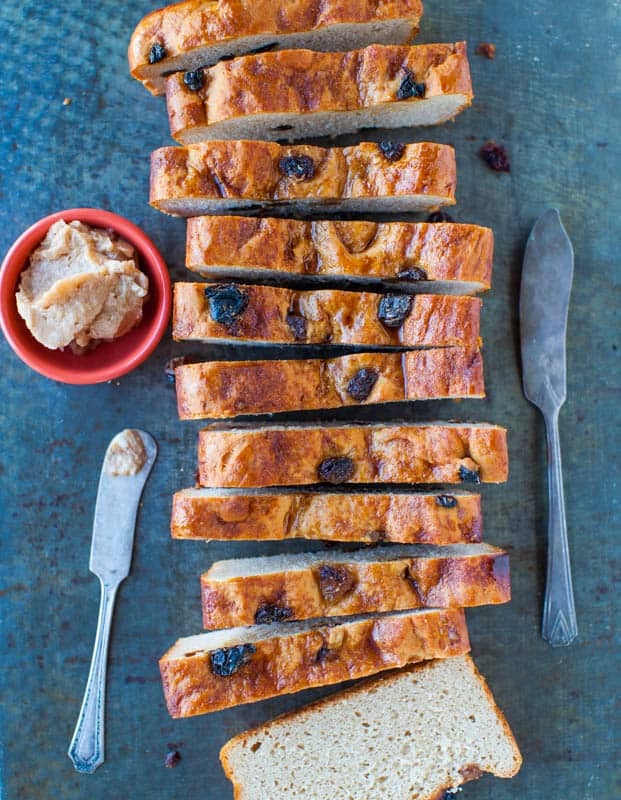 It’s instrumental in helping the dough stay light, fluffy, soft, and tender. In that recipe there’s the luxury of letting the dough rise overnight if you want. 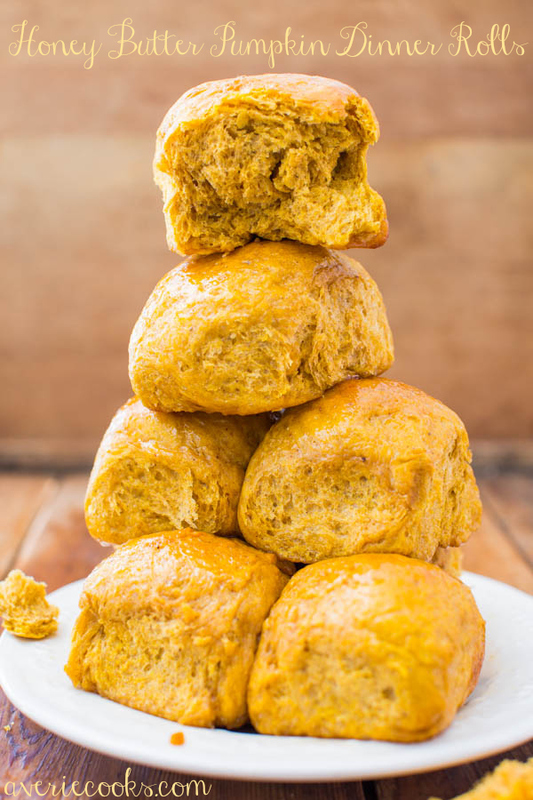 However, in this recipe, buttermilk is key in helping the dough rise without actually setting aside any time to rise, and it’s a must-use item, no exceptions. This is not the recipe to play around with trying to make your own buttermilk with a squirt of lemon juice or vinegar into regular milk or try using Powdered Buttermilk. Use the real thing. When I made the One-Hour Breadsticks, I only allowed the dough to rise for about 20 minutes and they were still soft and fluffy. It got me thinking, maybe I could skip the long, drawn out rising and waiting times typically associated with cinnamon rolls. Turns out, yes, I could skip it. 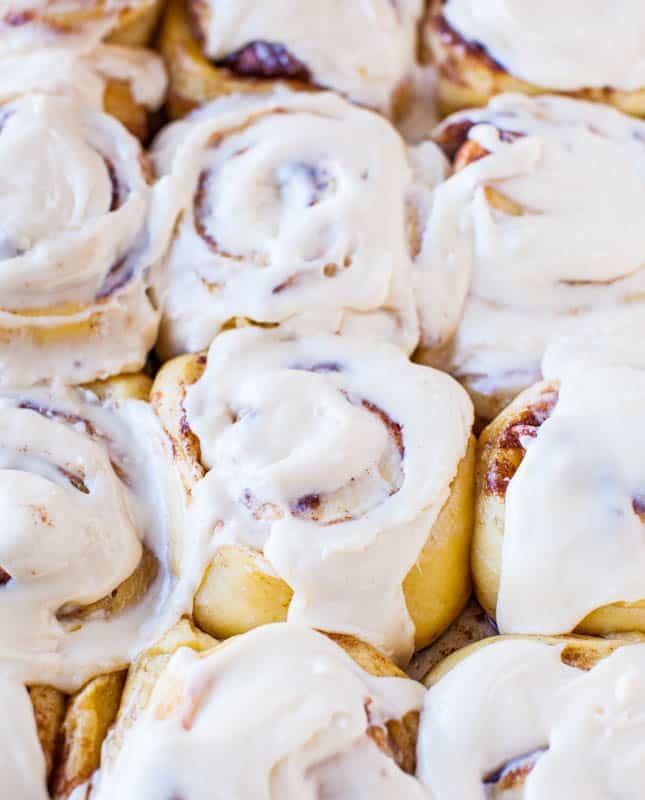 If you’ve made cinnamon rolls before, you know that typically you’re looking at a 2+ hour initial rise, and after punching down the dough, rolling it out, and shaping the rolls, they rise in the pan for another hour or so, before being baked. With this recipe, you make the dough, immediately roll it out, put it in the pan, and bake it immediately. To make the dough add everything all at once into your stand mixer, and let it knead for about 7 minutes. You can of course do this by hand with elbow grease. You’ve earned your rolls after hand-kneading. 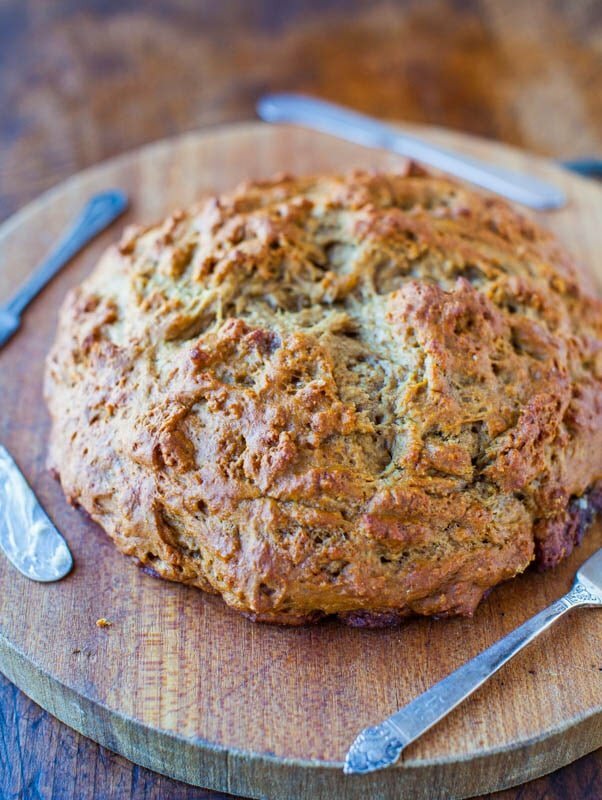 I bake with King Arthur All-Purpose and sometimes King Arthur Bread Flour. 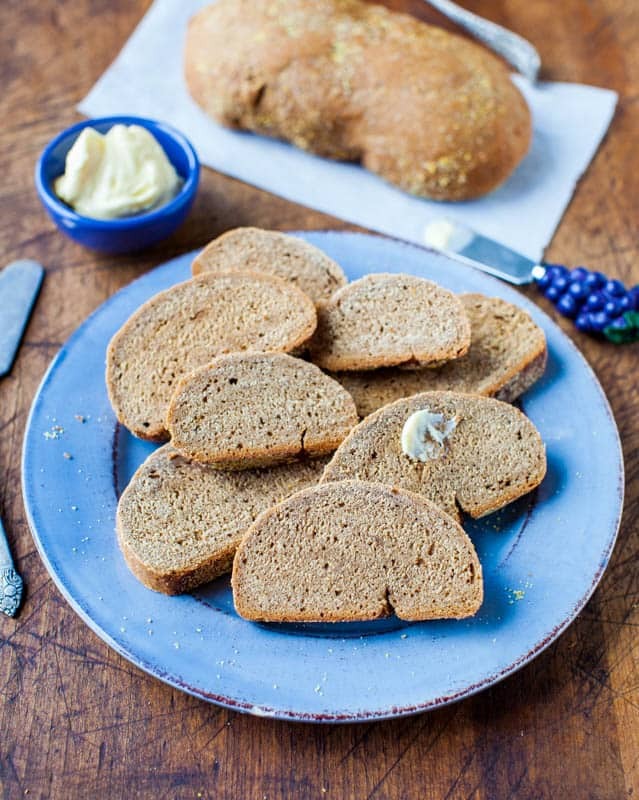 Bread flour creates a chewier, thicker, denser result, more bagel-like. I wanted to keep the rolls softer and fluffier, and opted for all-purpose. I only use Red Star Platinum Yeast. It’s the best yeast I’ve ever tried and it never lets me down. If you’re new to bread-making or working with yeast, consider this yeast your insurance against goofs because it’s very forgiving. Since it’s an instant yeast, you don’t have to proof it (let it stand with warm liquids for 10 minutes or until foamy). You simply add it with the rest of your dry ingredients. After kneading, the dough will be smooth and it’s not overly sticky. Roll it out into a 9×14 size. Grab a 9×13 pan and just eyeball it so the dough is a little longer than the pan. Spread a stick of butter over the dough. Starting with the 14-inch side, roll it up into a tight log. Slice it using dental floss. It’s truly the best way to slice rolls so they don’t get squished and lopsided. I’ve tried fancy bench scrapers, really expensive knives, and two cents worth of dental floss is the best bet. 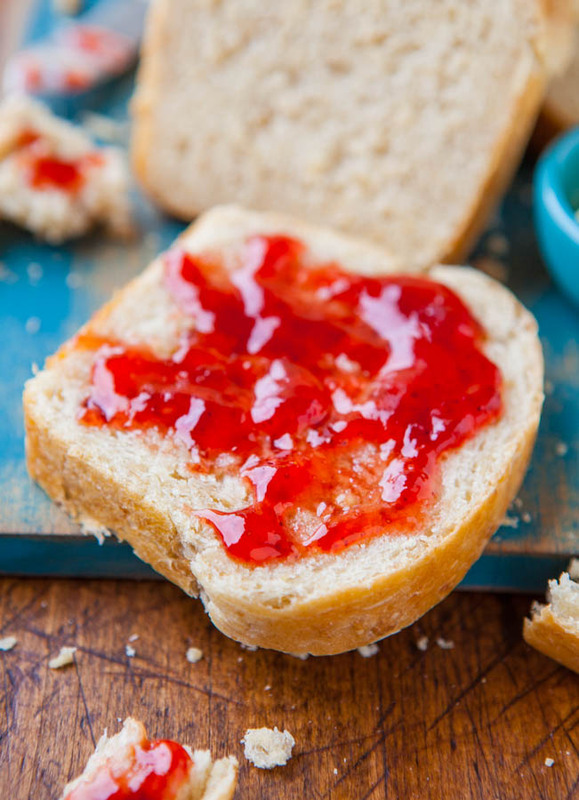 If you make 1-inch slices, you’ll end up with 14 rolls. Nine rolls comfortably fit in a 9-inch pie dish. You’ll have 5 extra. I baked those in a 9×5 loaf pan. 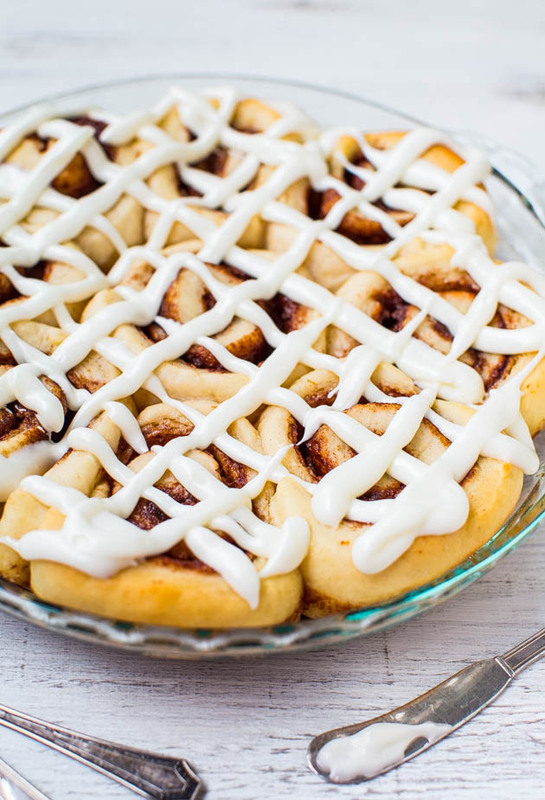 I could have baked everything in a 9×13 pan, but I was obsessed with baking in a round pie dish because that’s how my grandma made her cinnamon rolls, and I have a nostalgic predisposition to wanting my cinnamon rolls baked in a round pan. If you don’t care, using a 9×13 pan is probably easiest. You can also slice them about 1 1/2 inches each, and bake 9 big rolls in a pie dish. 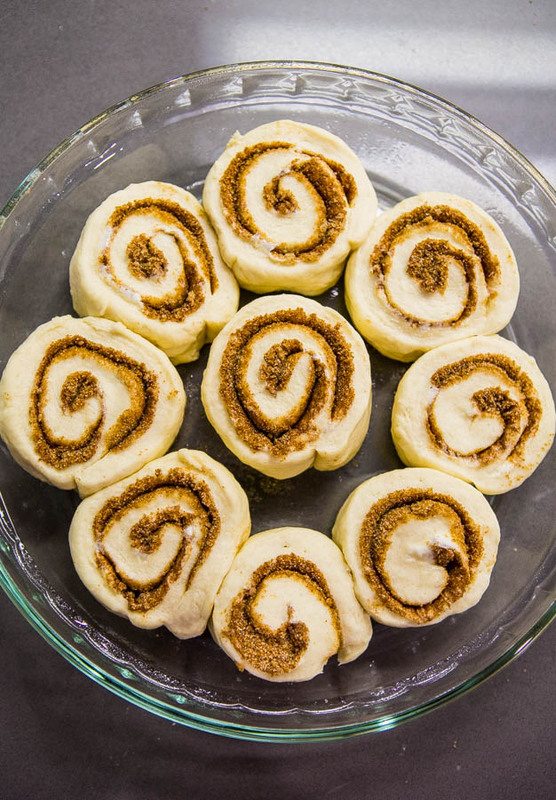 They’ll be Cinnabon-sized, whereas the rolls I made are like premade-dough-in-a-tube-sized. I baked for exactly 20 minutes. Watch them closely so you don’t burn them. The dough is so white and will fool you into thinking it’s still raw when it’s not. While they’re baking, mix up the (mandatory) frosting. Cream cheese, sugar, splash of cream. Nothing fancy, but I want to eat it by the spoonful. Instead of cream, you could use eggnog, maple syrup, Baileys, Kahlua, orange juice, or whatever strikes your fancy. I put some frosting in a small sandwich bag, cut the corner, and made swirls. I would have never done this if I wasn’t taking pictures. I would have smeared it on fast and super thick with a spatula. And that’s what I did after the photos. I was told the rolls are my best ever. 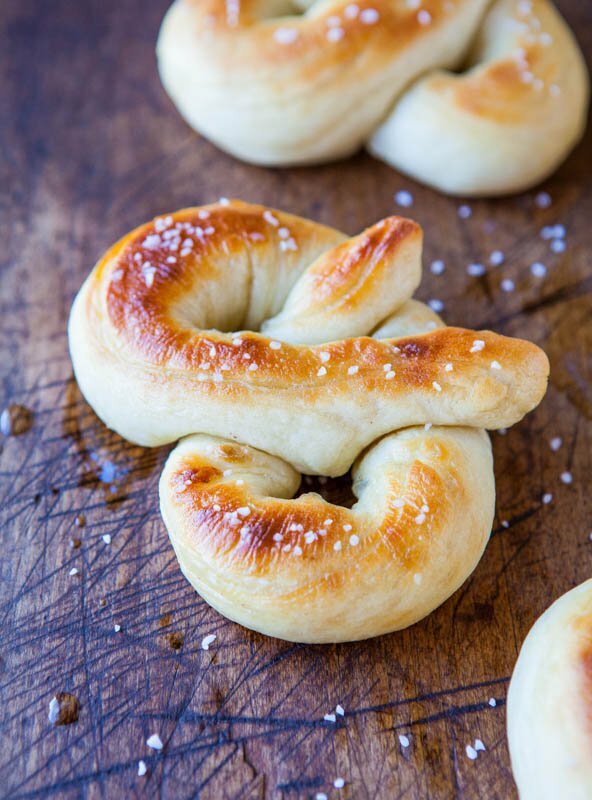 They’re soft, light, fluffy, and you’d never know the dough didn’t rise for hours on end. There’s plenty of cinnamon and spice, and the sweet and tangy cream cheese frosting is a heavenly complement. 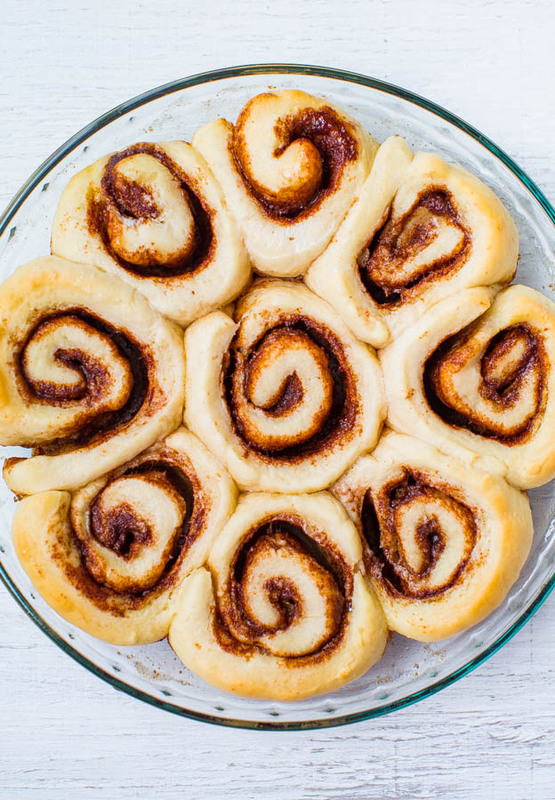 There’s no reason to buy refrigerated dough-in-a-tube rolls or go Cinnabon for your fix. DIY is always best. And now, you can DIY in 1 hour. 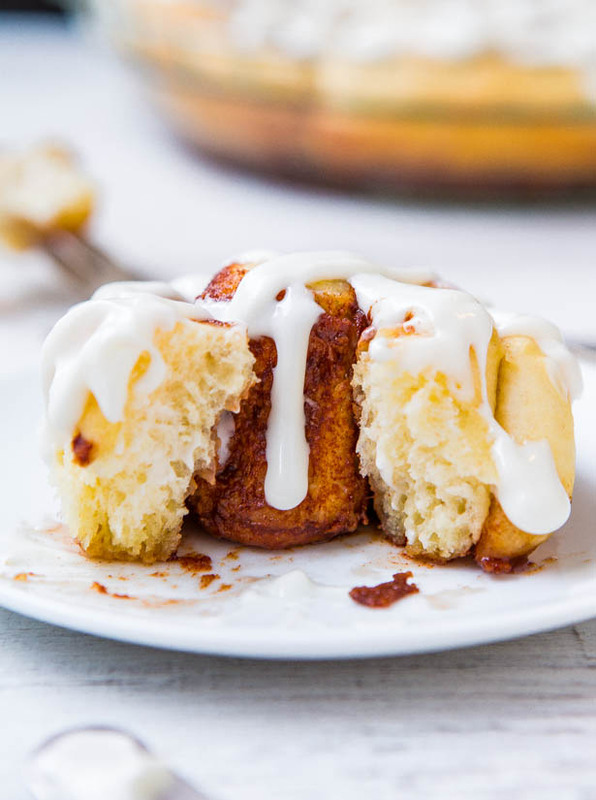 There’s no reason to buy refrigerated dough-in-a-tube rolls or go to Cinnabon for your fix. 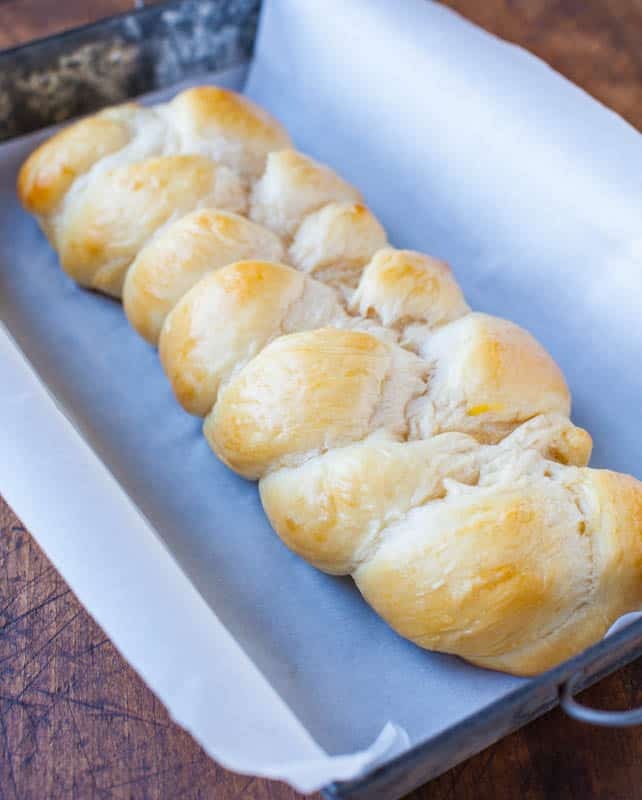 These soft, light, fluffy rolls are made from scratch in 1 hour. 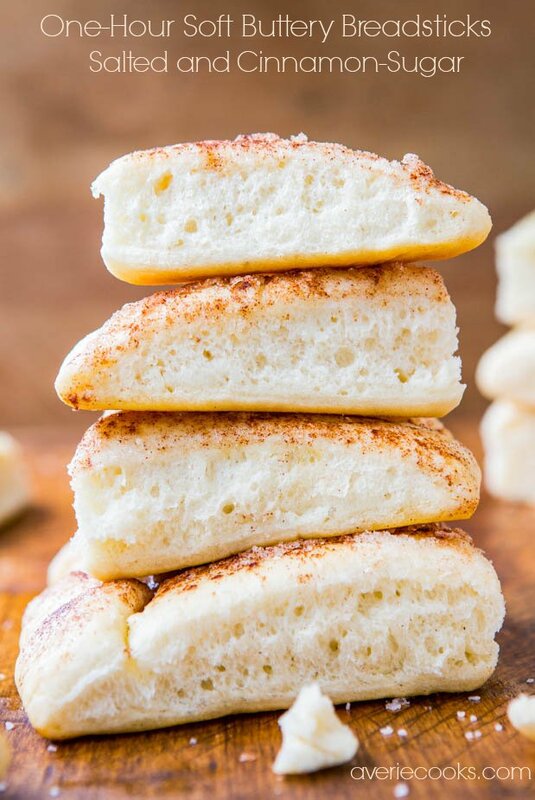 The dough is made, rolled out, sliced, and immediately baked, which eliminates many hours and steps compared to most cinnamon roll recipes. And here’s nothing lost in terms of taste or texture. Buttermilk is essential for the recipe, and read the blog post for flour and yeast recommendations. 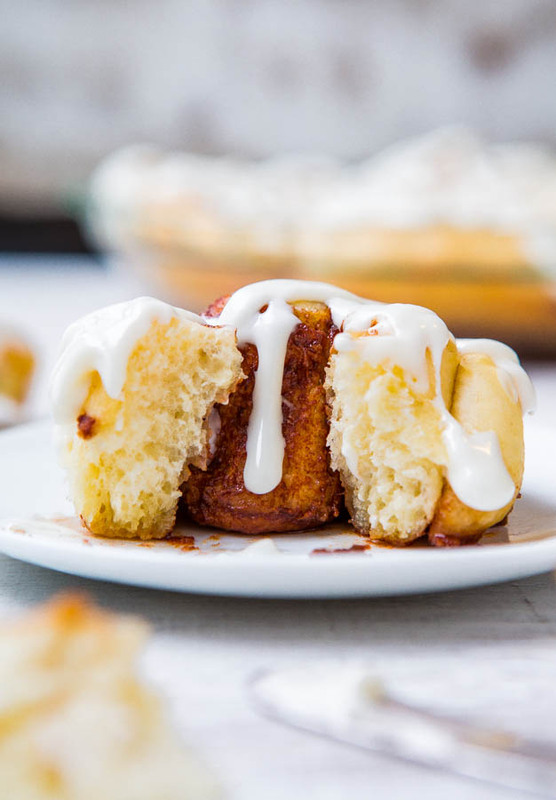 The easy yet tangy cream cheese frosting is the literal icing on the buttery soft cinnamon rolls. Preheat oven to 350F. Prepare a 9-inch pie dish (holds about 9 rolls) and a 9×5-inch loaf pan (holds about 5 rolls) OR prepare a 9×13 pan by spraying with cooking spray or grease and flour the pan(s); set aside. See blog post for explanation about pan sizes. Dough – To the bowl of a stand mixer fitted with the dough hook (or large mixing bowl and hand-knead), combine all dough ingredients and knead for about 7 minutes, or until dough is soft, smooth, and has come together in a firm mass. If hand-kneading, you may need to knead a few minutes longer. Note – Based brand of yeast used, buttermilk temperature will vary. Red Star Platinum yeast calls for a warmer temperature than most, 120 to 130F; other brands are much lower, about 95 to 105F. Warm buttermilk according to the yeast manufacturer’s recommendations on the packaging. This takes about 1 minute in a glass measuring cup in my microwave. Taking the temperature with a digital thermometer is recommended, but if you’re not, make sure the water is warm, not hot. Err on the cooler rather than hotter side so you don’t kill the yeast. Note – Dough should be smooth, not overly sticky, and fairly easy to handle. 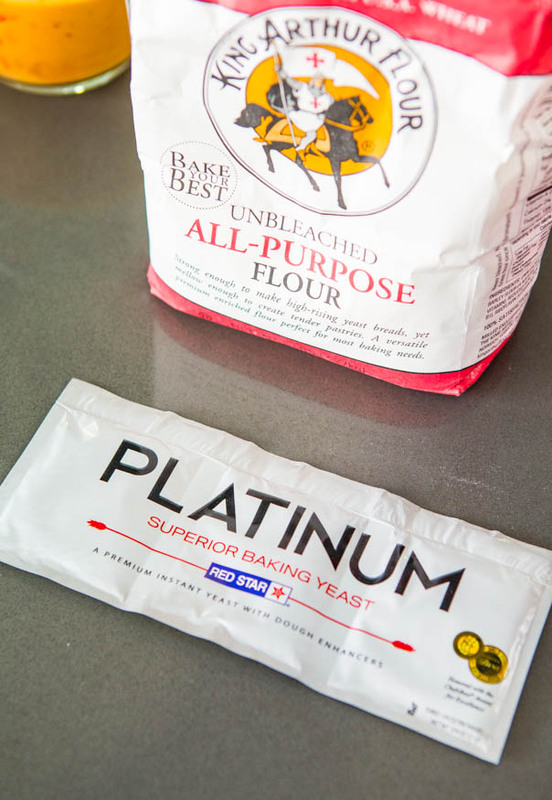 If your dough is very wet, moist, sticky, or gloppy, add flour in 1 tablespoon increments until it comes together easily. 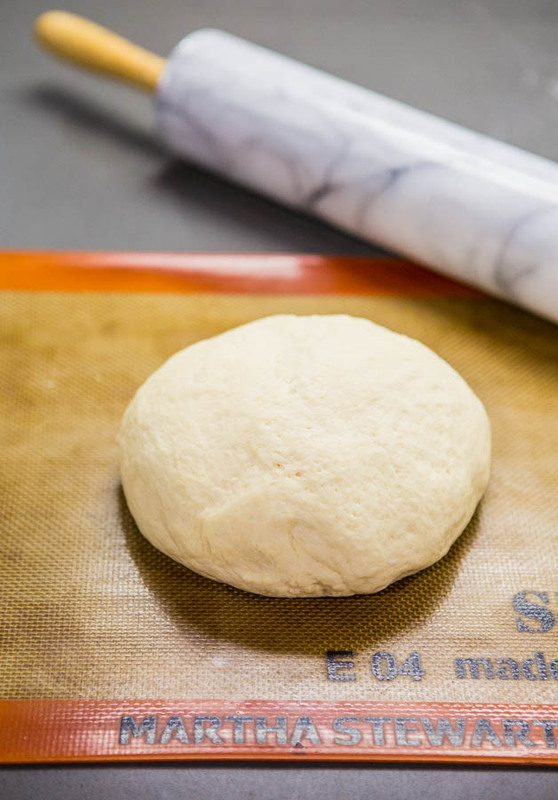 Turn dough out onto a Silpat-lined or cooking sprayed work surface. 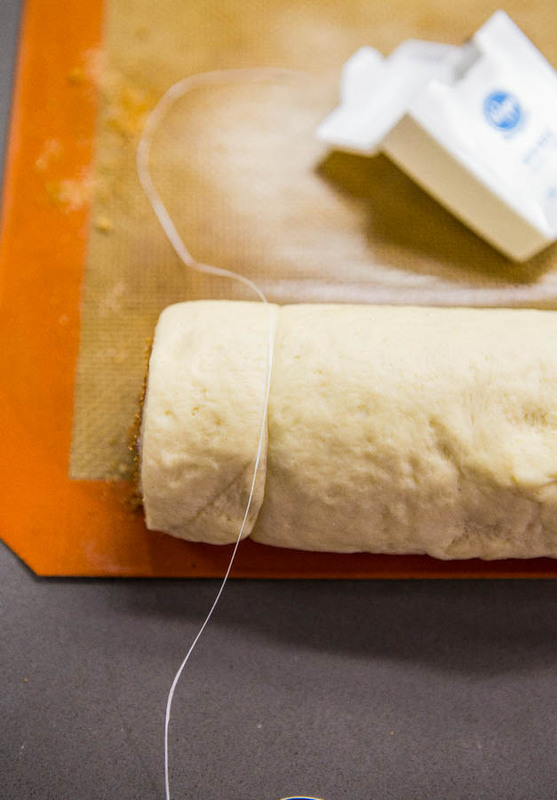 Using a rolling pin, roll dough into a rectangle that’s approximately 9×14 inches. Use a 9×13 pan and just eyeball it so the dough is a little longer than the pan. 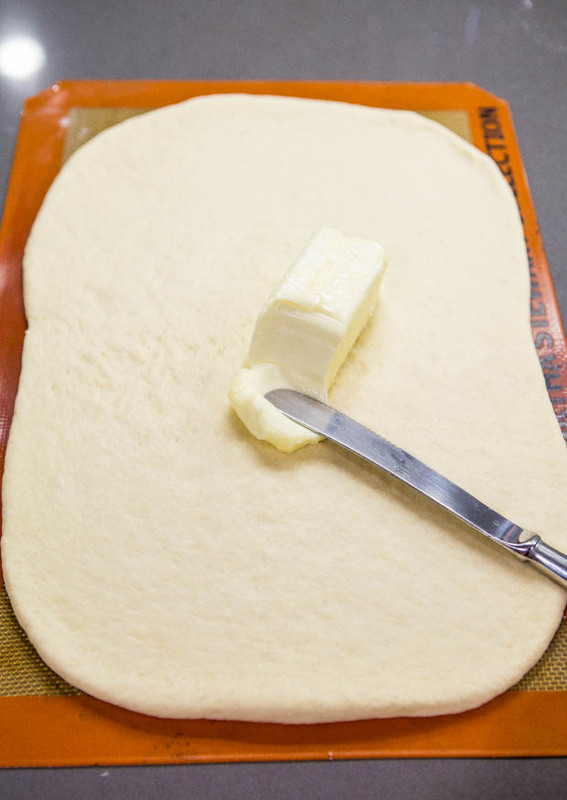 Filling – Spread butter in an even layer over the surface of the dough, leaving about 1/4-inch margins around edges; set aside. In a small bowl, add sugars, cinnamon, and stir to combine. Evenly sprinkle mixture over the buttered dough. Starting with the 14-inch side, roll dough up into a tight log. 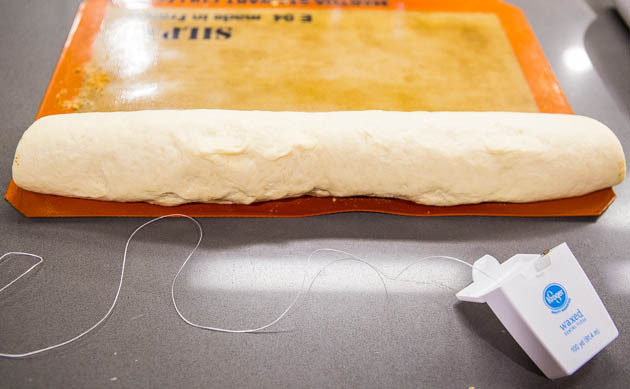 Make approximately 1-inch slices using plain (not mint) waxed or unwaxed dental floss. It’s the best way to slice rolls so they don’t get squished and lopsided. Place rolls into prepared pan(s). Bake for about 20 minutes, or until cooked through and set. I baked for exactly 20 minutes. Watch rolls closely so you don’t burn them. The dough is so white and will fool you into thinking it’s still raw when it’s not. Rolls continue to firm up as they cool. While rolls bake, make the frosting. Frosting -Combine all frosting ingredients in a medium mixing bowl, and beat with an electric mixer or by hand with a whisk until smooth and combined. Based on desired frosting consistency, you may need to play with the sugar and cream ratios slightly. Apply frosting to rolls as desired. I placed some frosting in a small sandwich bag, cut the corner, and made swirls. Smearing it on fast and thick with a spatula is what I prefer to do when not photographing them. Extra frosting will keep airtight for many weeks. Rolls are best eaten warm and fresh but will keep airtight for up to 2 days. Reheat gently in microwave before serving if desired. I’m comfortable storing frosted rolls at room temperature, but if you’re not, frost only the portion you plan to consume immediately. 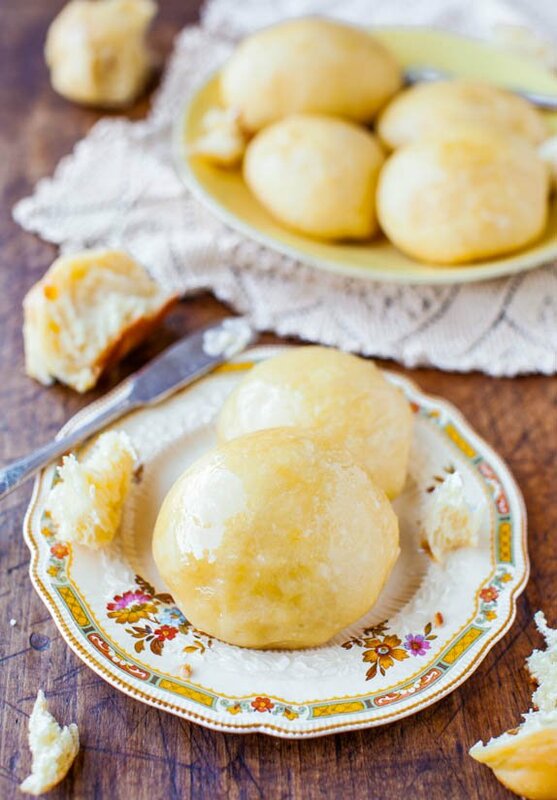 Rolls may be made, cooled completely, put in a Ziplock (don’t frost them) and frozen for up to 4 months. Thaw at room temp, frost, and serve. Is there a lot of frosting left over after frosting the rolls? I usually like my frosting on the lighter side. 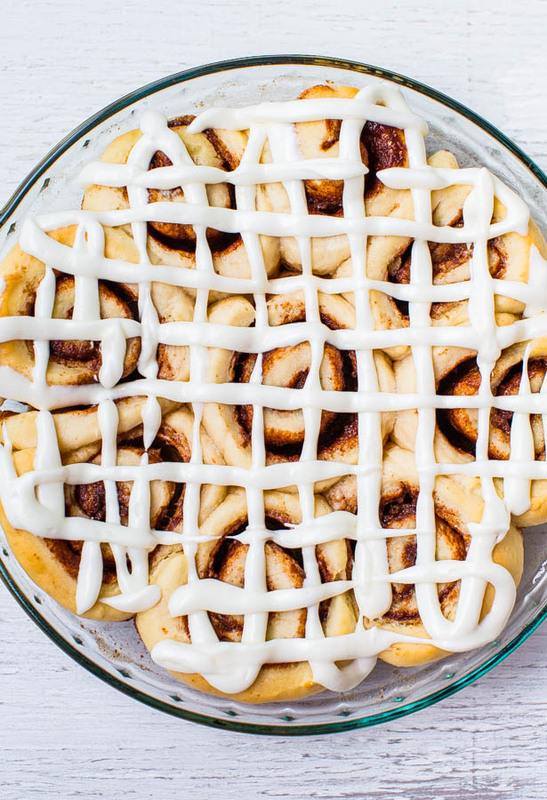 Would I have enough to frost all of the rolls if I halve the frosting recipe? Or is that not necessary? Tried these yesterday–they were pretty good but not quite as light and fluffy as my extended-rise ones. Maybe if I had made the smaller amount instead of the larger? I had problems with the amount of butter in the filling–it all oozed out during the baking process and was making my rolls swim in butter so I transferred them out of their baking pan and into another one while still warm (it looked like you left yours in your baking pan?) and that helped, but I would use a lot less butter next time. Overall, they were a success and everyone but me ate two this morning. Merry Christmas! 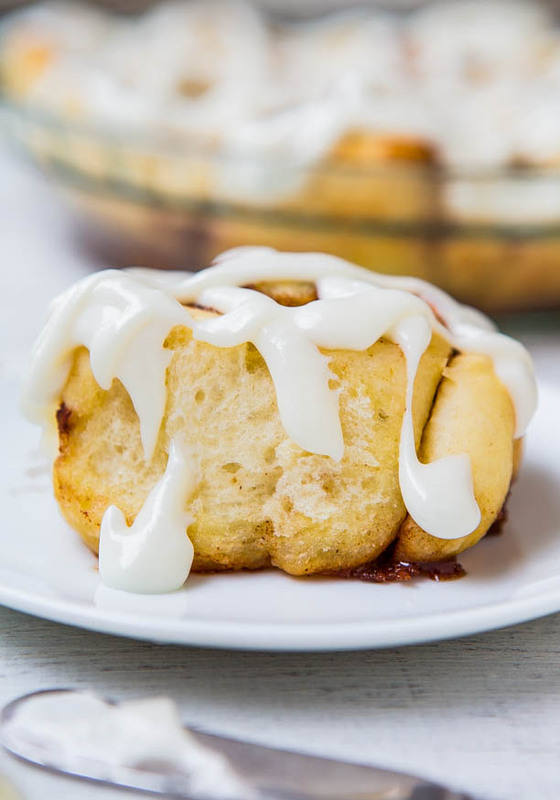 When I make these cinnamon rolls they are swimming in butter when I take them out of the oven, but as they cool in their pan they reabsorb all that melted butter making them ooey-gooey delicious. And you can cut back the butter if you want but like you said it DOES reabsorb and gets all caramely and gooey and that’s what I love most, but for anyone reading who doesn’t, you can always reduce the butter (but why…haha!) :) Glad you like the rolls, Grace! Hi Averie, I made these along with your Nutella PB bread over the holidays. Everyone loved them! Thanks for explaining everything throughout the recipe too – this was my first try at cinnamon rolls. The icing is amazing!! Happy New Year! My husband and I made these together yesterday afternoon (what better thing to do during a big snow storm than bake homemade cinnamon buns?) and they are amazing. I’ve never made cinnamon rolls before because I thought they’d be terribly difficult but your recipe isn’t and that dough was so beautifully flexible and easy to work with. They look beautiful, too. We’ll be making these again, for sure. Thanks so much for sharing. Thanks for trying them, Bee, and sounds like for a first attempt at cinn rolls, they turned out perfectly! Glad you guys enjoyed! Have to admit, I was a doubter. They were awesome! Thanks for sharing. Glad I proved you wrong! I absolutely love these! Even though the filling was a bit much. Is there a way to half the amount of sugar in it? Yes you can tinker around with the amount of filling and reduce it by 1/3 or reduce it down to how much you like in your rolls. I would rather have more than less, but find that place that works for you! Bread can be scary at first but I find it relaxing now. My coworkers always know when I am stressed because I bring in lots of yeasty goodness. My mom taught me to make bread by hand one Christmas when I was a kid. I made the cinnamon rolls again last weekend! My husband said we can have them every weekend! And I totally agree that bread can be scary but turns into relaxing and therapeutic! I love working with dough. Such a great medium and stress-reliever! First let me say, I absolutely love your recipes! Q: Is it possible to make the dough and freeze half of it a head of time ? Hi Tom! You’re a long way from California! :) Thanks for reading! 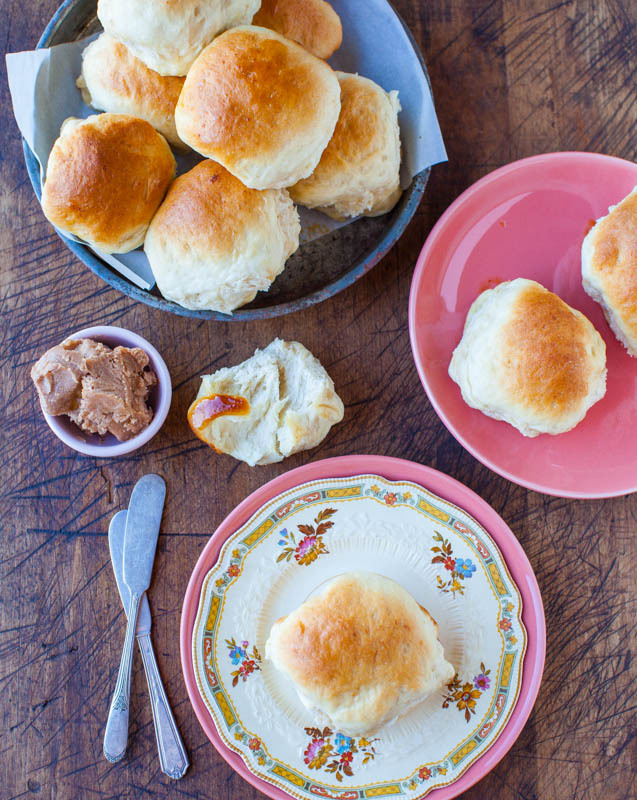 I would probably make the batch as-is, then just freeze half the already baked rolls. I find that’s a better/easier way to go about it than freezing raw dough. It does work, but I don’t think the results are quite as good as if baking with fresh dough. The nice thing about this cinn roll recipe is that I purposely kept it small. While it looks ‘big’ in the photos, in reality it’s a small 9-inch pie plate and they will go fast. Whatever you decide to freeze, just don’t glaze. Take them out, let them thaw, glaze before serving. LMK how it goes! By the way, I made this Rolls and also your “Soft one hour pretzels” that same day, they all came out yummy! I filled half of them with Chocolate and the other half with Homemade Almonds paste and Blueberries. Froze them after baking as you suggested and yes, this are perfect even when reheated! I love that you filled them! The almond paste and bb’s and the chocolate both sound excellent! And glad that my freezing suggestion worked out great! I totally kwym about feeling like you’re cheating the system on these! Yes! And easier than making cookies, agreed! Thanks for verifying/reiterating that you think my timing estimates are on the money. I try and then I ponder things based on how long I think the avg person would need to do it successfully and glad to hear you love these and they worked great. And not in 4 hours :) And that your hubs thinks your a lighting fast superstar baker! I made these today, and all I can say is wow! They’re gorgeous. My family and I were thrilled with them. Thanks for trying them & so glad you’re happy, George! I didn’t change anything at all in the post. Maybe you grabbed the frosting from another post? Not sure but no, didn’t make any changes! Glad you enjoy the rolls! 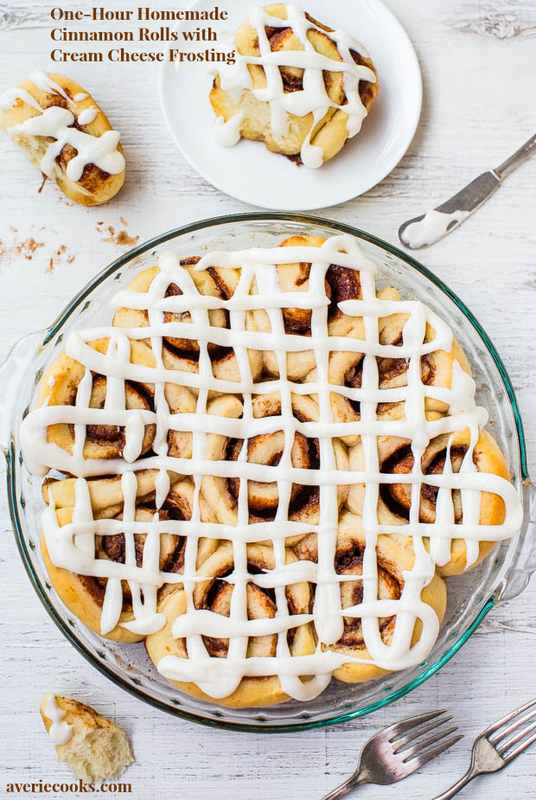 Which recipe would you absolutely strongly suggest to make, these 1 hour cinnamon rolls or your overnight cinnamon rolls? Which are more worth it? I only have “Saf-Instant Yeast” and do not have a thermometer, so how would you recommend to handle it and how long to microwave the buttermilk for. This brand of yeast’s temperature is 90-110 degrees btw. Thanks! I’m sorry that I can’t say exactly since I’ve only made the recipe using the yeast I used and with a thermometer. The buttermilk mixture needs to be warm to the touch, quite warm, but not scalding. Yes just use your best and most trusted instant yeast and you’ll be set! Enjoy! Loved the recipe. They turned out amazing and delicious. Only the dough was REAALY sticky to work with even though i added a ton of extra flour . Any suggestions? Still It worked out to be yummy . It could be because you didn’t have buttermilk and made a makeshift version of it and the water you added could have really watered down the dough AND it probably didn’t have the ‘oomph’ regular buttermilk has to really give bread a nice jumpstart with the rising; thus, lots of extra flour was needed. But it looks like it all worked out! 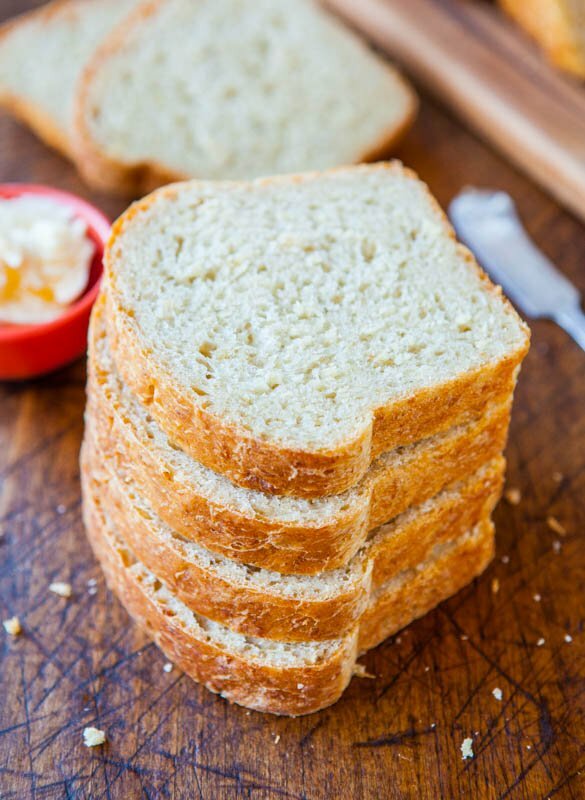 I recommend using a high quality flour like King Arthur for all your bread-baking. That can help too, and overall, I find I need less. Thanks for trying the recipe! 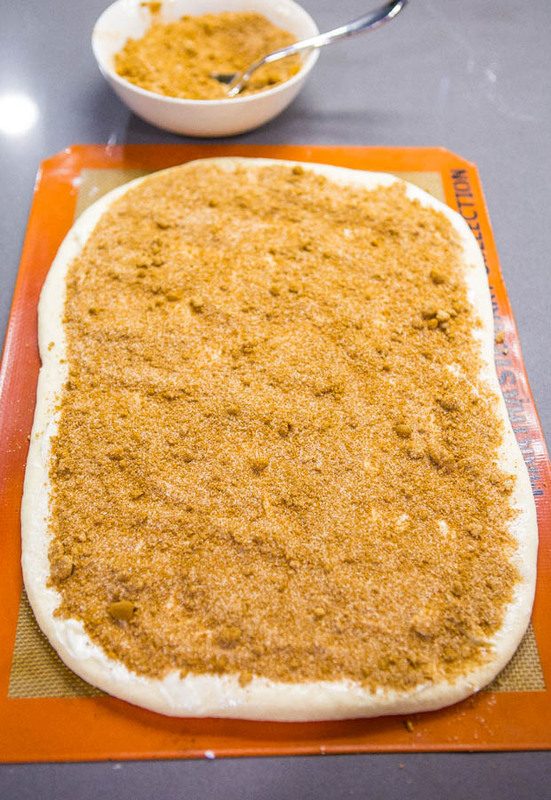 I am teaching a grade 7 Foods class and I am wanting to do a “1 Dough, 2 Ways” lesson where half my class makes cinnamon buns and the other half makes pizza using the same dough as a base. 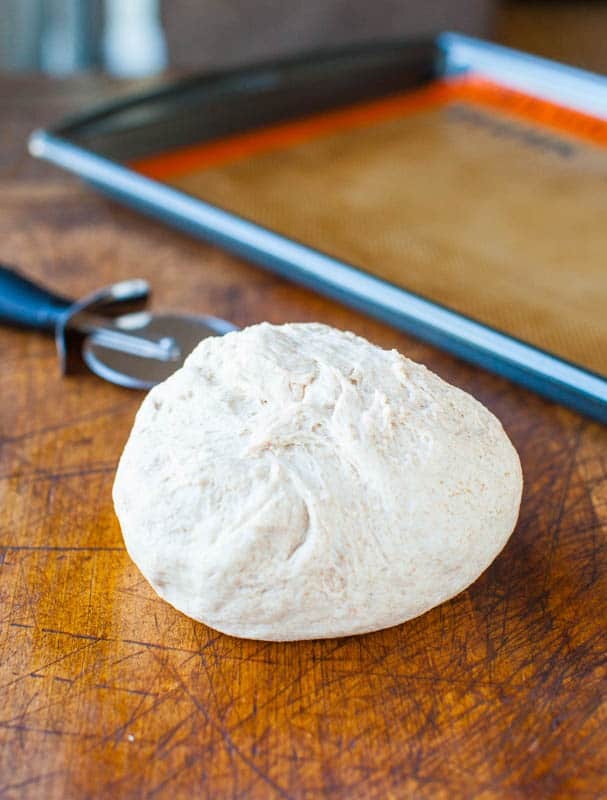 I was wondering if you think that this dough recipe might work as a pizza dough as well? I do think it would work and I also have this recipe for breadsticks, which I know some readers have made into pizza crust, and it’s not that far off from cinnamon roll dough either. That one may work great for you! Hi. I have made the over night cinnamon rolls & they are FABULOUS. My daughter has been begging me to make them for a few weeks. I seriously thought about making them but didn’t have the time, so I decided to give these a try. They are really delicious. The only change I made was to reduce the half & half by half a tablespoon & replace it with half a tablespoon of Tahitian vanilla. I could have eaten the frosting by itself. Ha ha. Thanks for a great recipe! These were awesome! I made then last night after dinner and they were SO easy! Mine got a 20 min rise while I got my son ready and tucked in, but the dough was amazing and rolled out perfectly! They’re nice and soft and just as great this morning. Who doesn’t need a little something on a Monday morning? 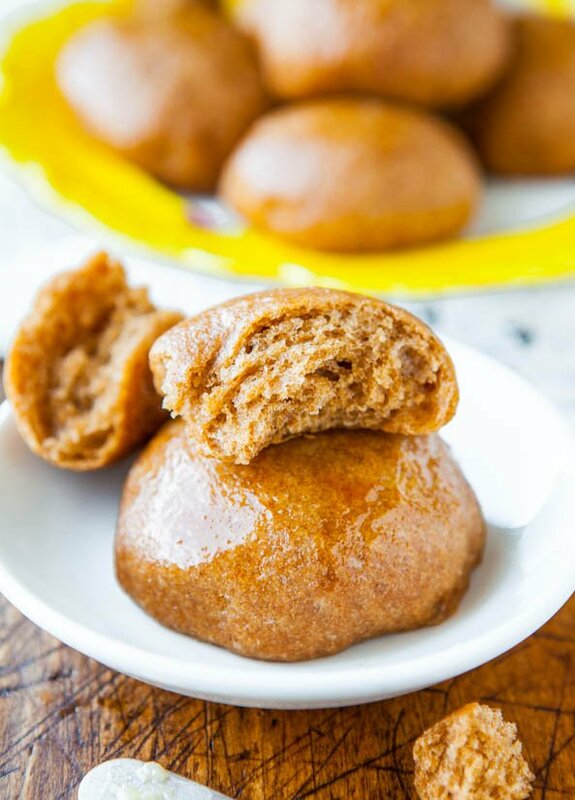 I’ll have to try your overnight recipe, because we like these better than the popular recipe we make for holidays. Thanks for the 5 star review and glad you like these better than the popular recipe you make for holidays.